Join Sister Catherine T. Nerney for this directed day retreat titled Forgiveness and Reconciliation: The Great Work of Love in a Wounded World. At the heart of the human journey to forgive and reconcile lies a divine gift. Come, open yourself to the healing grace that God longs to give to each of us personally for the sake of all of us, and for the sake of this wounded world that our God so loves. Grounded in God’s gifts of incarnation and grace, this retreat will focus on stories, divine and human, through which we hope to recognize the face of the Living God, beckoning us to receive the gift and share the great work of love that is forgiveness and reconciliation. Includes full meal at noon. 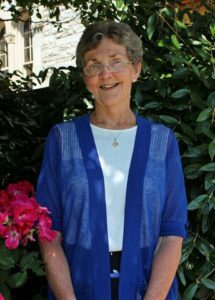 Sister Catherine T. Nerney, SSJ, Ph.D., has served as the Director of Chestnut Hill College’s Institute for Forgiveness and Reconciliation since its opening in 2009. A Professor in the college’s Religious Studies and Philosophy Department, Sister Catherine received her Ph.D in Systematic Theology from the Catholic University of America with a specialization in the Theology of the Church. Her latest book, The Compassion Connection: Recovering our Original Oneness, was published by Orbis Books in 2018. Dr. Nerney is clear in insisting that the widows and orphans of post-genocide Rwanda, with whom she spent a semester, have been her greatest teachers of forgiveness and reconciliation.